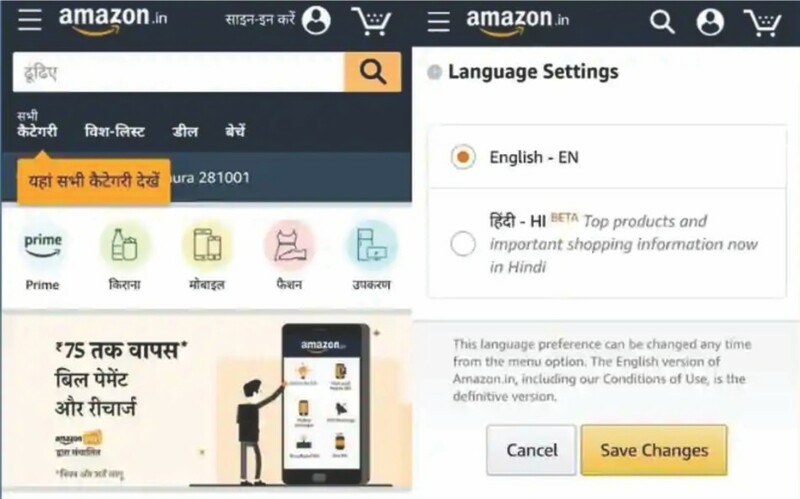 Amazon.com has launched a Hindi version of its mobile website and app for Android smartphones in a bid to make deeper inroads into India’s fast-growing e-commerce market, stepping up its battle with Walmart’s Flipkart unit. None of India’s other leading e-commerce portals – Flipkart, Snapdeal or Paytm Mall – currently have a local language version of their apps or websites, and the move to launch a Hindi app and website could give Amazon access to tens of millions of new customers in India’s small towns and villages. The country’s e-commerce market is tipped to grow to $200 billion in a decade, according to Morgan Stanley.